Q: Is this a challah making competition? A: No, there will be no competition involved. Everybody will be making the same recipe at her own pace. Q: Is this just to learn how to make Challah? A: No this event is not just to learn how to make Challah. In addition to learning about the kabbalah, beauty, and history of the mitzvah of Challah, you will also be joining with over 118 other Jewish women of all ages and backgrounds for an afternoon that will be both fun and inspiring. Whether you've never touched Challah dough before, or you make it every week, this event is not to be missed! If you make lots of Challah already - that's great! Please help a neighbor at the event or share some of your techniques! You can also become a table Captain and use your expertise to help others. 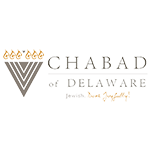 (Please contact Rochel@ChabadDE.com if you are interested). Q: If I bring my daughter, do we each pay a separate "entry fee"? A: All participants, regardless of age will be set up with their own Challah mixing station and leave with 2 challahs. The fee is to off-set the costs of the program. If you prefer to pay just 1 entry fee for yourself and your daughter (age 8-12), then you and your daughter will be asked to share one station and only leave with 2 challahs.